The Miss Tibet 2017 paegant was held in McLeod Ganj, India on 4th June 2017. 21-year-old Tenzin Paldon was crowned Miss Tibet 2017 in a ceremony at the Tibetan Institute of Performing Arts (TIPA). Paldon works as cabin crew with a premier airline, apart from modelling. There were a record number of participants from India, United States, and Europe in the 15th edition of the beauty contest. 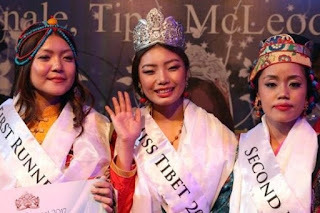 Tenzin Khechoe was named first runner-up and Tenzin Nordron was adjudged second runner-up.